Description:Until the 1950s Lindop Street was known as Park Street, connecting Bucknall New Road with Hillcrest Street. The printing works was halfway along on the left hand side. Today Lindop street has been cut in half and the print works replaced by a factory. There was a large works here from 1900. Wood Mitchell & Co occupied the Oriel Works and were printers, bookbinders and publishers. 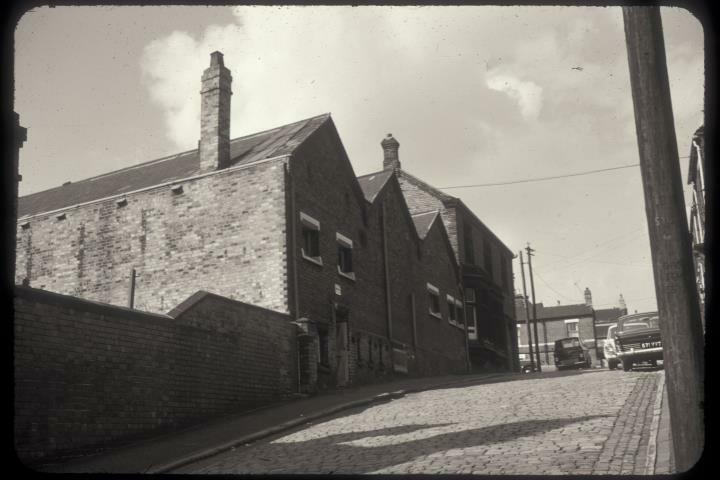 The row of houses in the background are on the corner of Garth Street and Hillcrest Street.